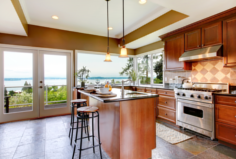 Staging Your Kitchen - REALTY WORLD Harbert Company, Inc. If you have any questions or would like more information about staging your kitchen please Contact Us. Visit our Buyers Page or Sellers Page to view more information about staging your kitchen.